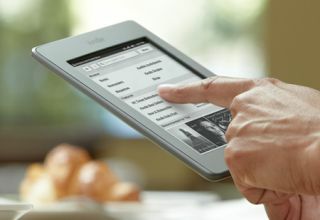 Kindle Touch arrives a week early in the UK | What Hi-Fi? Amazon's Kindle Touch will go on sale in the UK tomorrow (April 21st), a week earlier than scheduled. Both the regular wi-fi Kindle Touch and 3G Kindle Touch will be available for £109 and £169 respectively. You'll be able to buy the device directly from Amazon, or assorted other retailers including Argos, Tesco and John Lewis. Sadly there's still no UK launch date for the long-awaited Kindle Fire tablet. It was originally expected in January.